US Vice President Joe Biden has continued his two-day visit to Moscow with a meeting with Prime Minister Vladimir Putin and a speech at Moscow State University, in which he said the "reset" in Russia-US relations is indeed working. During the meeting with Putin, the turmoil in Libya was high on the agenda, as well as trade ties and Russia’s bid for WTO membership. On Thursday, the Kremlin softened its stance on abstaining from intervening in Libya’s domestic affairs and signed a decree to prohibit the supply of arms, ammunition and military hardware to the North African country. It is known that Joe Biden made an attempt to guarantee Russia’s support in case of the American military intervention in Libya. The US repeatedly said that, along with some other Western nations, it might consider military intervention in order to resolve the ongoing Libyan crisis. However, except for signing the decree, Russia has maintained a position that the current crisis in Libya is first and foremost the country’s domestic affair that foreign powers should stay away from. 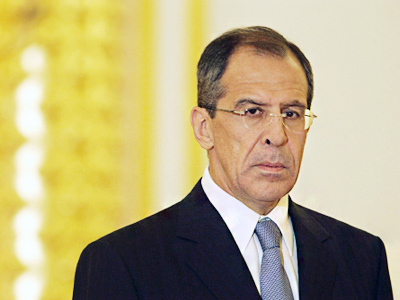 As for supporting the US intervention, Russian officials have given neither denial nor confirmation of the issue. In view of the continuing bloodshed in the region, the US has been pressured by Britain and France to consider the no-fly zone option. In his meeting with Putin, Biden was expected to discuss imposing the no-fly zone over Libya – a level of involvement that Russia, a veto-holding member of the UN Security Council, has been strongly opposed to. ­As far as the military intervention in Libya is concerned, there is not that much difference between the Russian and American stances on the issue, believes Steve Levine, editor of the Washington-based Foreign Policy magazine. He thinks both President Medvedev and President Obama consider it best to avoid outside interference in the Libyan crisis. “There’s a lot of pressure out here in the United States for President Obama to do nothing militarily in Libya. It’s regarded by a lot of people – and I think, rightly so – as a nightmare, if Western boots get on the ground in Libya. There are stark memories of what happened in Iraq,” said Levine. Boosting economic ties and improving trade turnover, which has remained relatively low over the last years, has also been one of the main objectives in the US official’s visit. 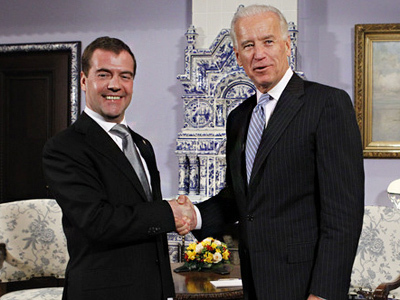 During the first day of his visit on Wednesday, Biden met with Russia’s President Dmitry Medvedev and held a business roundtable to address these issues. In his Thursday meeting with Putin, politicians were reported to have discussed a visa-free regime and major business deals. 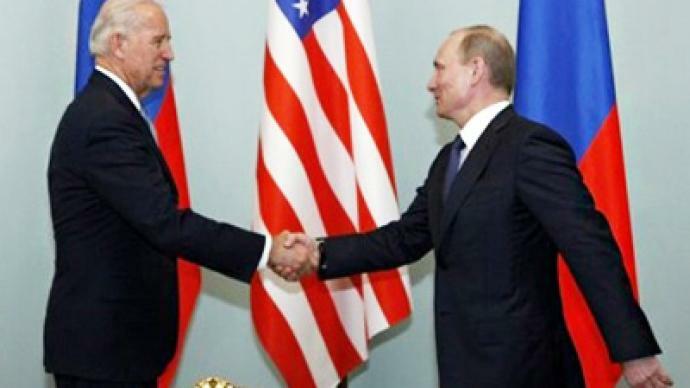 Joe Biden, who promoted the phrase “pushing the reset button” in Russia-US relations, underlined in his talk with Vladimir Putin the necessity of the continuation of that “reset” and the benefits that exist in the co-operation between Moscow and Washington. He said that unlike the previous administration, which did not choose to capitalize on the strategic potential that exists between two countries, the Obama administration is very much interested in it. On his first day, Biden, in the company of leading American businessmen, also visited the Russian analogue of Silicon Valley – the innovation center Skolkovo in the Moscow area. Talks with Putin followed Biden’s meeting with Russian opposition leaders and civil society activists, including veteran human rights activist Lyudmila Alekseeva and Memorial group's Oleg Orlov. 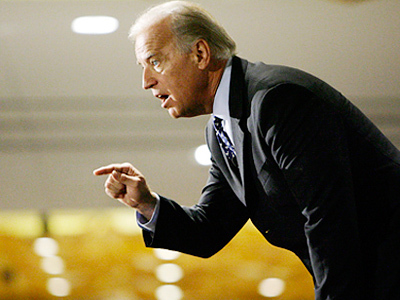 ­Later on Thursday Joe Biden made a speech at Moscow State University, addressing Russian students and professors on several important issues. He claimed that the “reset” in the Russia-US relations is working, judging by the improved opinion about Russia among the US population, and about the US among Russian people correspondingly. However, he added that much remains to be done to consolidate co-operation in various spheres. For example, Biden noted that although the US is interested in investing in the Russian market, the business climate in Russia presents great challenge for foreign investments. As for a missile defense system in Europe, Biden said both superpowers have to develop the system and the deterrence potential together. He says that if two nuclear superpowers start doing that, it will dissuade some other countries from acquiring nuclear weapons. ­Yury Rogulev from the Moscow-based Franklin Roosevelt Foundation, which concentrates on studying US policies, believes that Russia and the United States need normal relations that are based on the matter of trust. ­Charles Kupchan, political expert from the US Council on Foreign Relations, believes that what happens now in Russia-US relations is the closing of phase one and opening of phase two in the so-called “reset”, with the relationship itself broadening out and deepening its social roots. “Phase One was all about security and high politics. It was about the New START treaty, missile defense, Iran, Afghanistan. And that really came to a close when the Russian Parliament and the US Senate ratified START. Now I think what we’re looking at is more societal contact: investment crosses the boarders, people traveling more between the two countries, trying to build the confidence that the Vice President had just talked about,” said Kupchan.